When you go to Washington State, there is one geologic landmark which dominates the skyline: Mt. Rainier. At 14,411 feet, Mt. 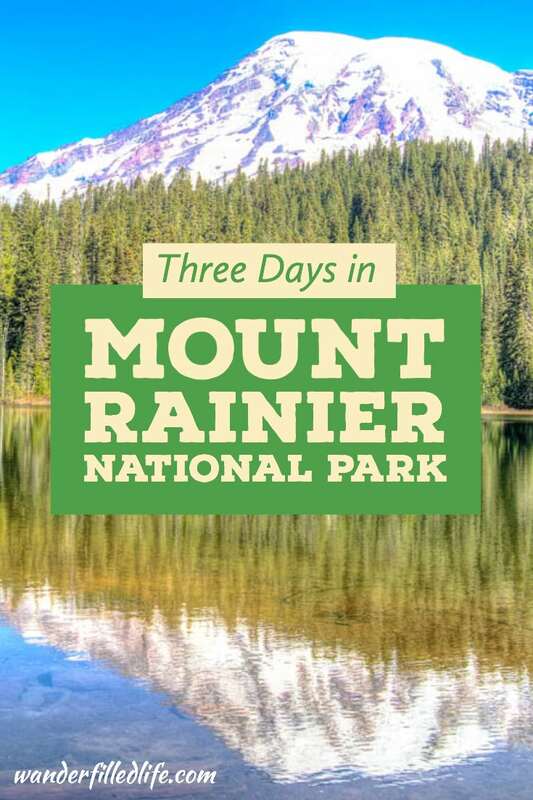 Rainier is not only the tallest mountain in the Cascade Range, it is also the most topographically-prominent mountain in the contiguous US. On a clear day, you can’t miss the mountain on the horizon. Most days, even on sunny days, this is the best you will see of Mt. Rainier. The mountain makes its own weather. 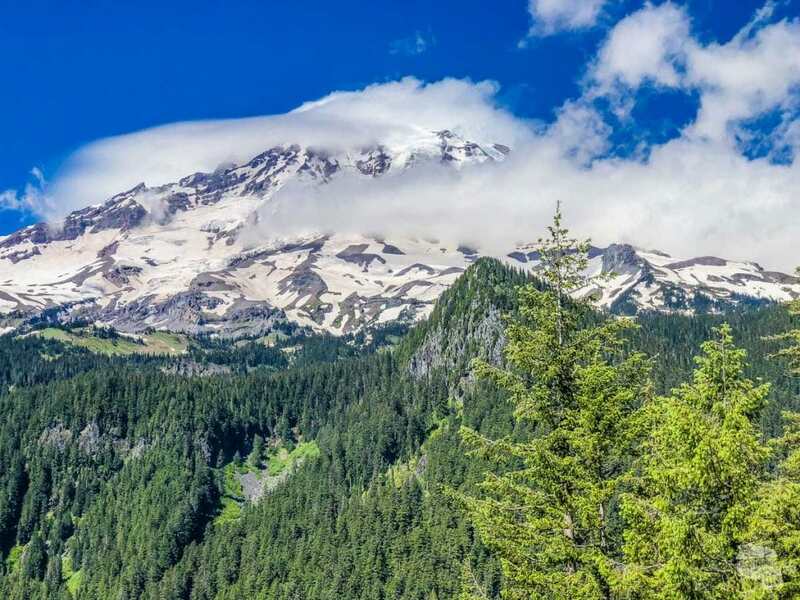 It is also considered one of the most dangerous volcanos in the world due to its large size, the amount of glaciers on the peak and the proximity to the southern parts of the greater Seattle area. 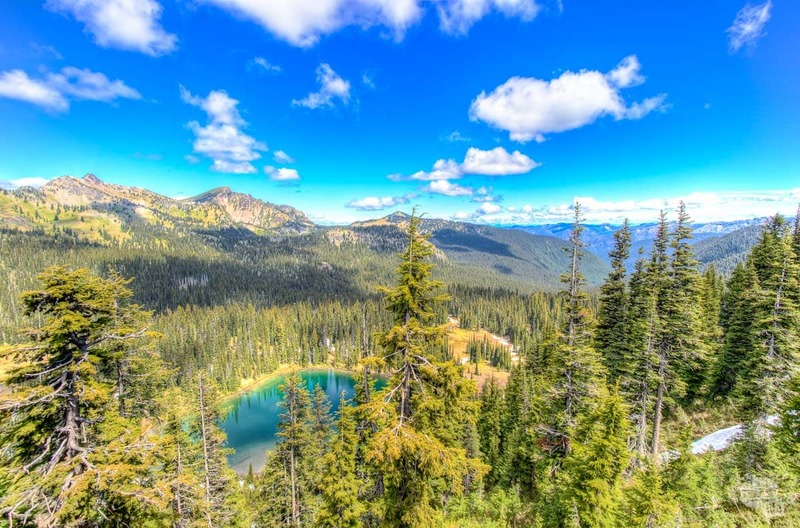 The area was initially conserved as part of a forest reserve, the predecessor to national forests, and eventually Congress designated Mt. Rainier as the fifth national park in 1899. Mt. 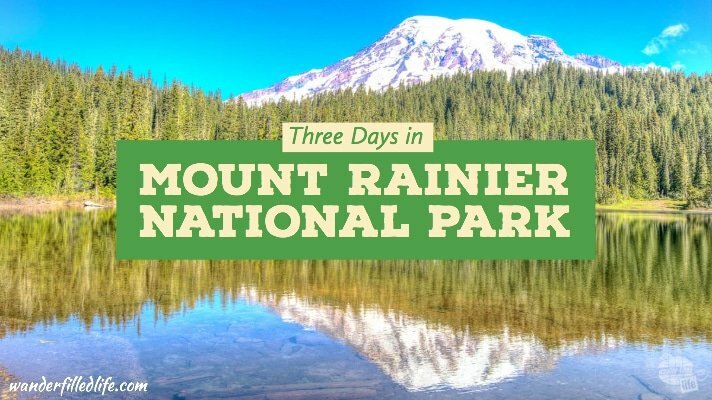 Rainier National Park is about a two-hour drive from Sea-Tac Airport, making it an easy day trip from Seattle, but there is so much to this park, you are going to want to stay longer. 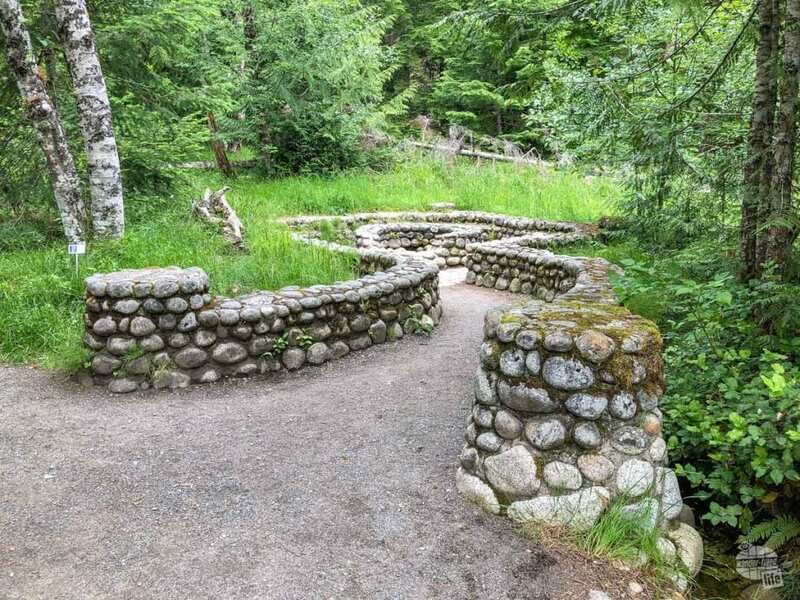 Most folks visit the sites on the southern end of the road, from the Nisqullay Entrance near the small town of Ashford across to the Stevens Canyon Entrance north of the town of Packwood. There’s more to Mt. Rainier National Park than just the one mountain. 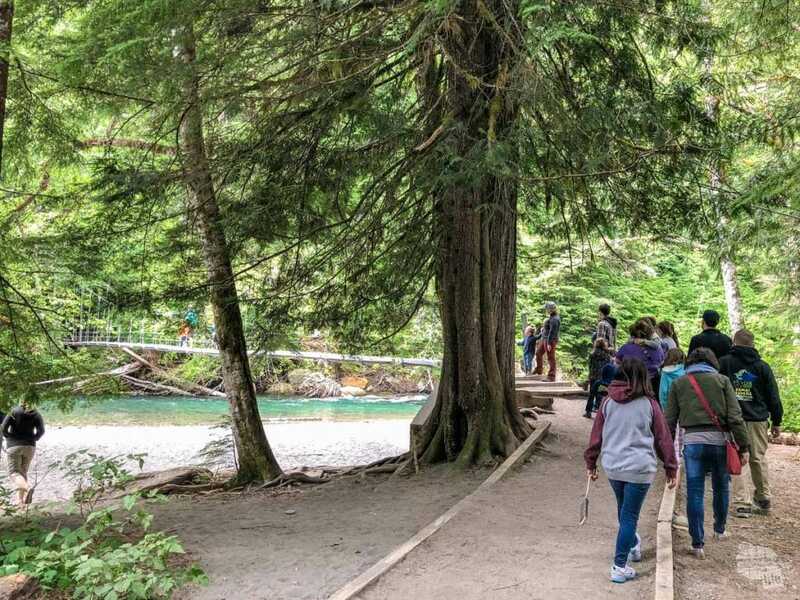 This 40-mile stretch of road has tremendous views of the mountain, waterfalls, canyons, views of the Tatoosh Range to the south, a grove of ancient trees and one of the prettiest lodges and visitor centers we have ever seen. If all you have is a day, this is the drive to take but you would be hard-pressed to truly enjoy the multitude of sights in that short of time. We recommend two days to explore your way from Longmire all the way across to the Grove of the Patriarchs. Add on a third day to drive north along the eastern side of the park up to Sunrise if you are visiting between early July and early October. The views are staggering and worth the drive. We didn’t get a chance to visit the Carbon River section of the park at the far northwestern corner of the part. 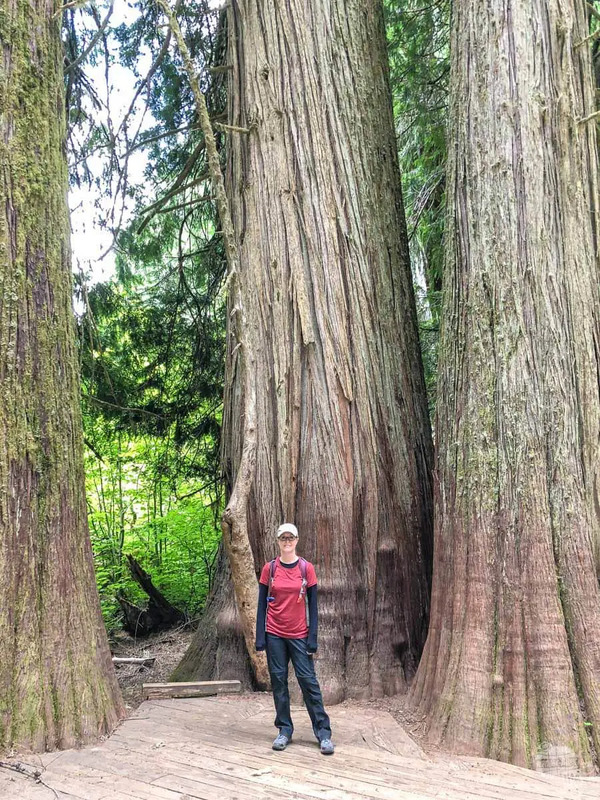 The area is home to temperate rainforest and can be accessed by foot or by bike. Upon entering the Nisqually Entrance in the southwest corner, make your way to Longmire. Longmire is preserved as one of the quintessential examples of national parks architecture. The area has several buildings, including a museum and the National Park Inn, one of two lodges in the park. The Longmires built a resort around the thermal features found near Mt. Rainier. The area was originally settled by James Longmire to take advantage of nearby hot springs in 1883. Be sure to check out the Longmire Museum, enjoy the views of the mountain from the porch of the lodge and hike the brief Trail of the Shadows loop to see some of the thermal features of the area as well as some of the older Longmire structures. We camped in Cougar Rock Campground, which was comfortable and wooded, but pay attention to the restrictions on trailer length. At 27 feet long, we were right at the limit of what is allowed and there are some tight turns; I would not want to take anything longer. Campsite at Cougar Rock Campground in Mt. Rainier. 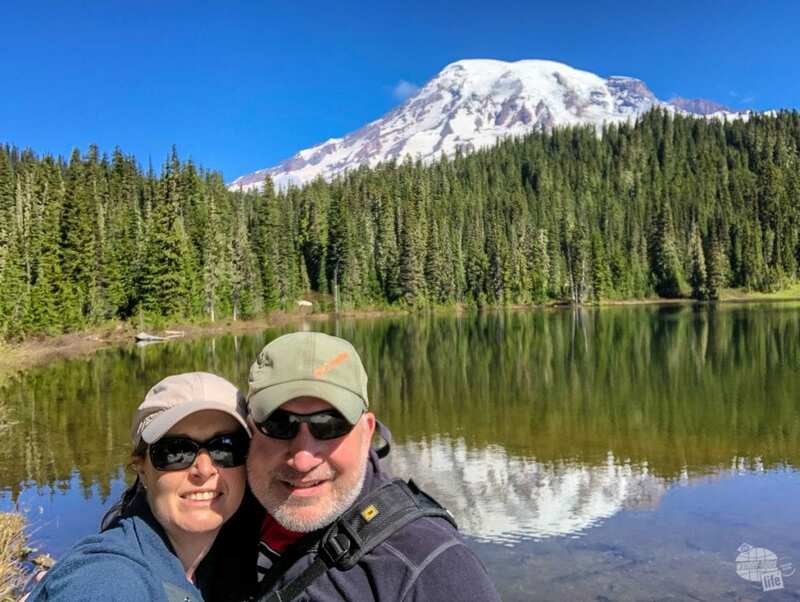 The Wonderland Trail, a 95-mile trail which circumnavigates the park, goes right by the Cougar Rock Campground and the rangers recommended hiking a nearby flat section along the Nisqually River up to Carter and Madcap Falls. We didn’t get a chance to hike the trail, but it is high on our list when we return. There’s a reason this area was called Paradise and that’s because it is completely gorgeous. While you will get glimpses of the mountain on the way up, it is this section of the road where you will get some truly breathtaking views. Your first stop is Christine Falls. 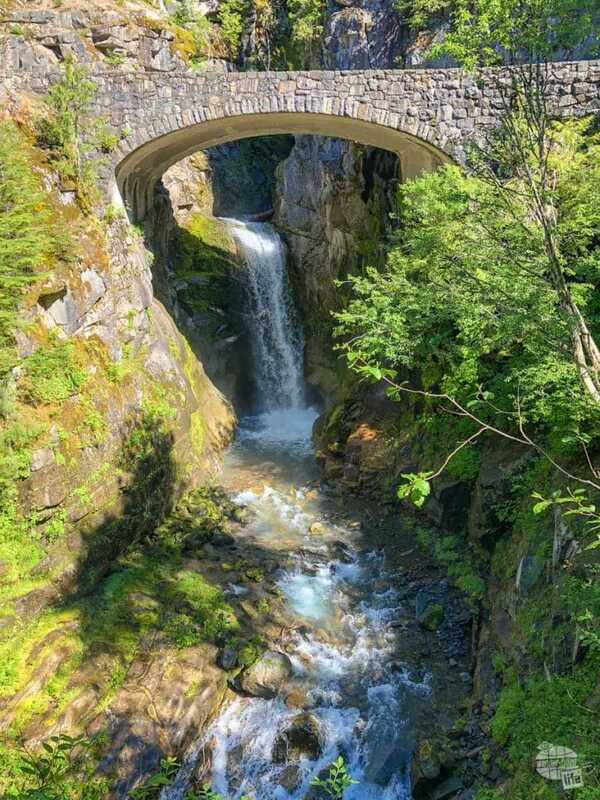 This waterfall is actually framed by the bridge going across the creek and it is a short hike down to check it out. Just be careful. The turnoff sneaks up on you and we passed by it two or three times before we finally were able to stop. After leaving Christine Falls, you will see a sign indicated a road on the right, the Ricksecker Point Loop. Turn here and park in the first available spot, then look north towards Mt. Rainier. 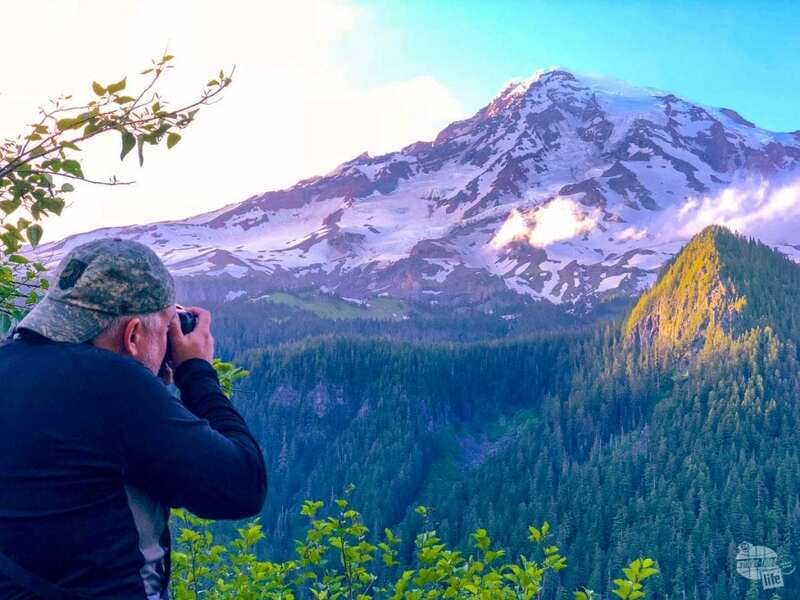 The stop will reward you with one of the best views of the mountain in the park. After having dinner in the Cougar Rock Campground, we came back up here to capture the mountain at sunset. Wow! Grant working on a sunset shot. The views were great, but the wind was pretty brisk as well. In fact, I was a bit concerned the tripod was going to be tipped over. It was a cold wind. 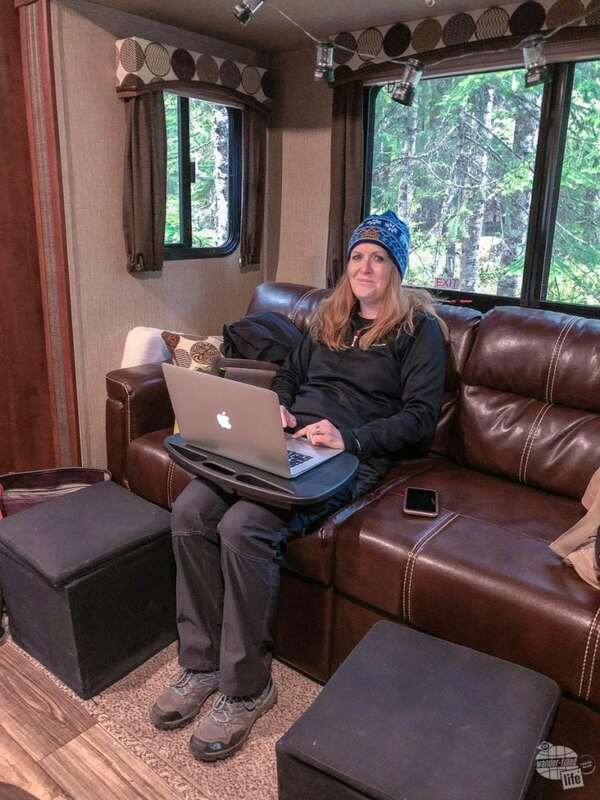 For most of our Alaska cruise, I dressed in shorts and a fleece and never felt the need to put on more. Here at Mt. Rainier, I was cold in early July. 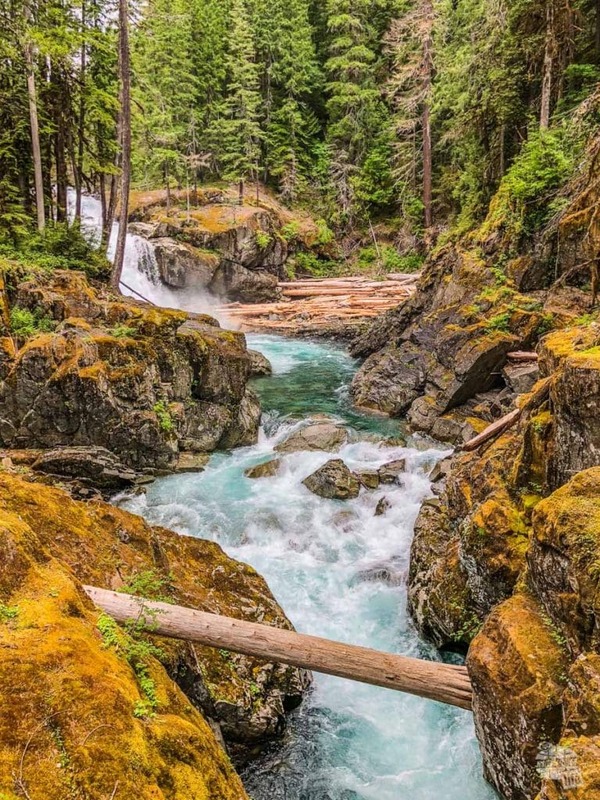 The next stop is the impressive Narada Falls. The walk down is a bit steep, but the view is worth it. 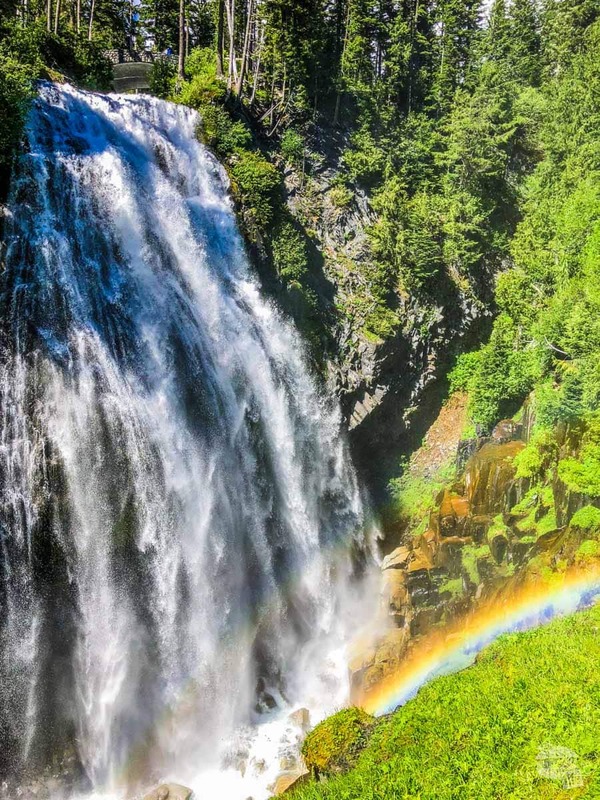 Not only are the falls spectacular, but often the mist forms a rainbow at the base of the falls. Just be prepared for a wet trail and some mist. Continuing up the road to Paradise, you will find an area of lush alpine meadows, provided the snow has melted, and one of the most crowded visitor areas in the park. The park service had a ranger out making sure visitors used the lower parking lot and hiked up to the visitor center and lodge. The Henry M. Jackson Visitor Center is one of the prettiest and well-placed visitor centers we have ever seen. 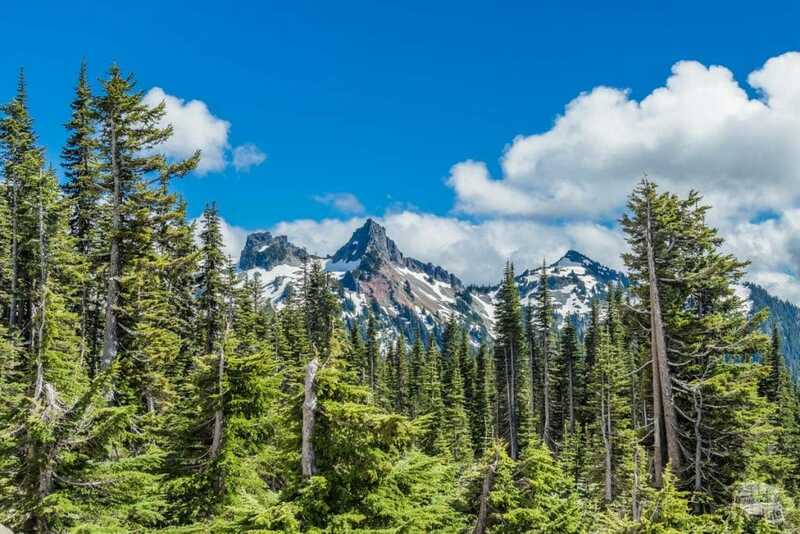 Everywhere you look there is a beautiful view of the mountain to the north or the Tatoosh Range to the south. 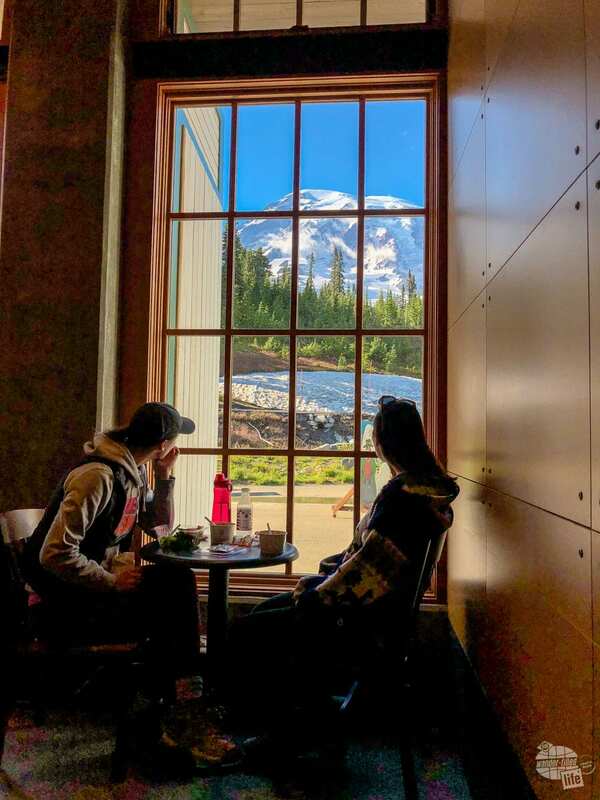 The cafe at the visitor center has one heck of a view. Be sure to check in with the rangers and get hiking recommendations and check out the outstanding exhibits upstairs. It is also home to the Paradise Inn, the other lodge in the park. 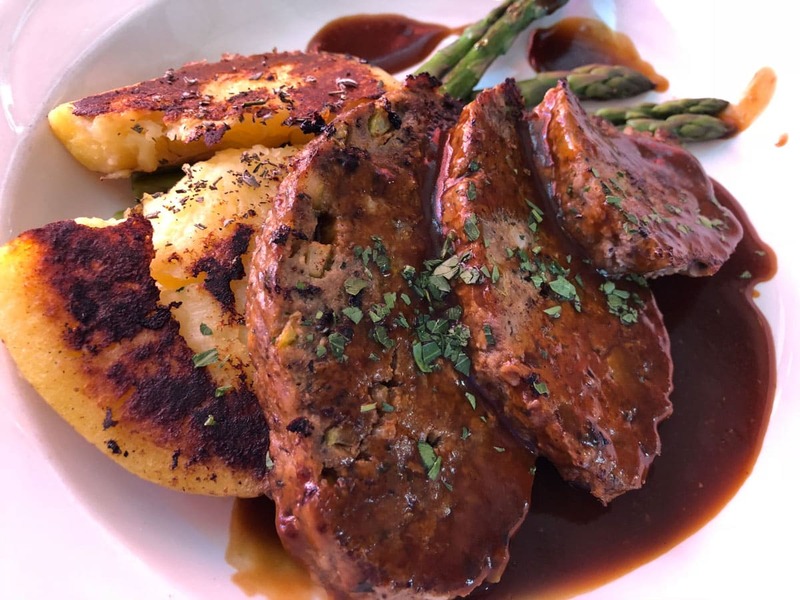 The dining room at the lodge offers some outstanding dinner options, including a bourbon-glazed bison meatloaf which is nothing short of outstanding. Be sure to drive the Paradise Loop, which runs just past the lodge for some more spectacular views. Bourbon-glazed Bison Meatloaf at Paradise Lodge. Know you have a clear morning ahead? Get up early and head to Reflection Lakes first thing. You will find crystal clear water which reflects the mountain with the clarity of a mirror. The trick is to get there early before the wind picks up and starts ripples in the water. Even in early July, there was plenty of snow on the ground around the lake, so be prepared for some muck! 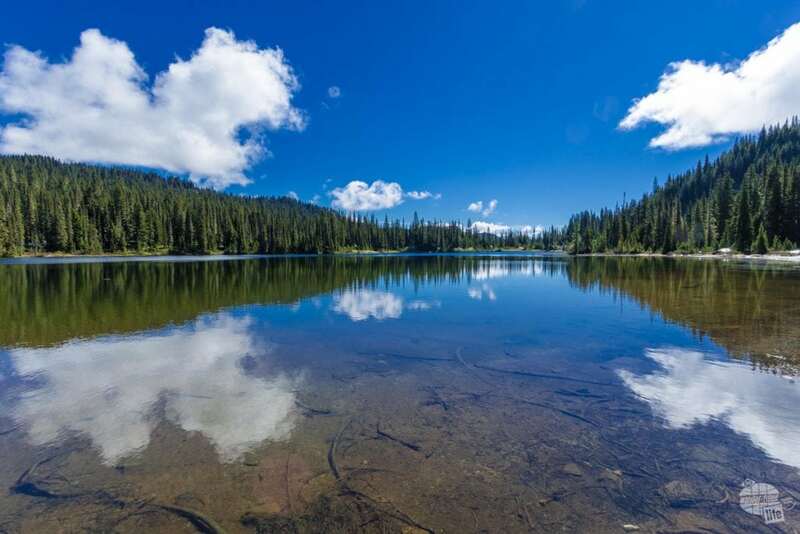 The drive past Reflection Lakes is not nearly as scenic as the drive up to Paradise, but there are great views of Stevens Canyon and there is a pullout at Box Canyon. Box Canyon offers great views of the mountains to the south and a deep slot canyon with the Cowlitz River flowing through it. There is a loop trail with some apparently gorgeous views, but the park service closed it for repairs when we visited. Next time! 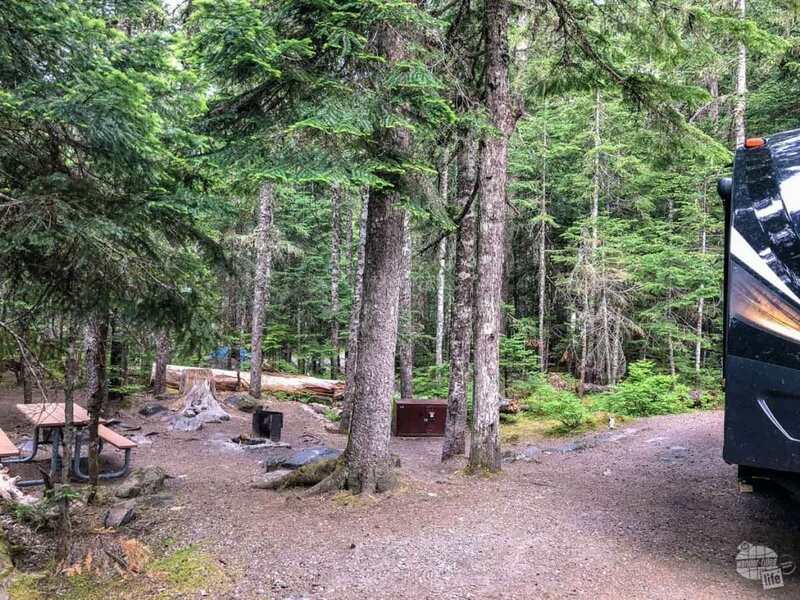 The Ohanapecosh Visitor Center is located right at the Ohanapecosh Campground and is relatively small, but has a lot of information about the old growth forest ecosystem. Just be aware parking is relatively limited in this area. Backtracking a bit will take you to the Grove of the Patriarchs trailhead, one of the more crowded sections of the park. We took the Silver Falls Trail south for a few miles and enjoyed great views of cascades making their way through the old growth forest. 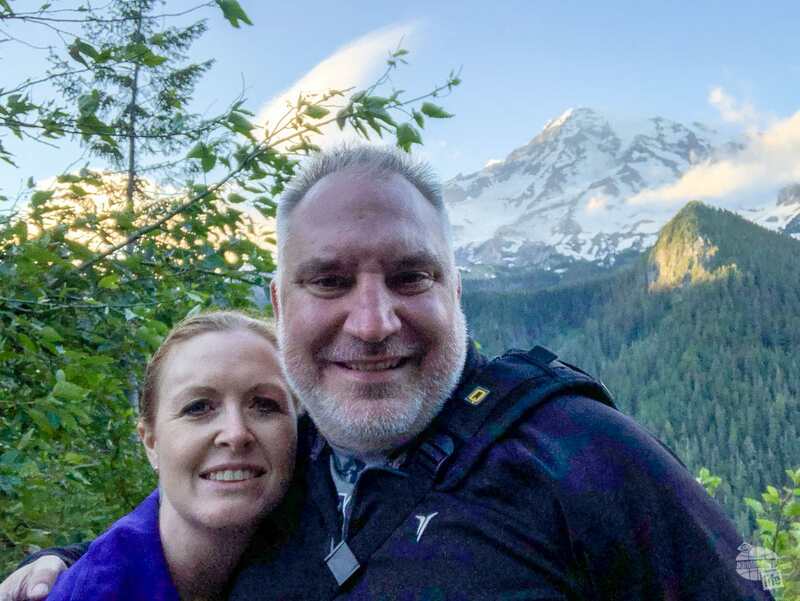 Afterward, we hiked the Grove of the Patriarchs trail, which was breathtaking. The trees found in this grove are truly massive. To give you an idea how big these trees are, here is Bonnie at the base of one of them. While the trail is relatively short, expect some delays if crowded when you get to the suspension bridge. The bridge is only good for a few people at a time. Getting across the bridge into the Grove of the Patriarchs or back out can be a matter of patience. Head north on Hwy. 123 up to Cayuse Pass and then take Hwy. 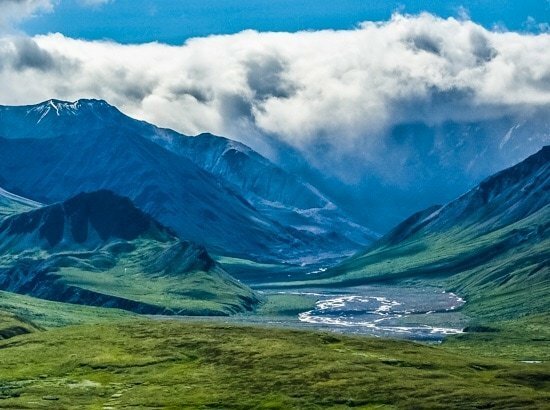 410 to the White River entrance to the park and more staggering views of the mountain and surrounding peaks. The road up to Sunrise is only open from early July to early October, so plan your trip accordingly. The road switches back and forth until you get to Sunrise Point. The parking area there can be a bit crazy, but be sure to stop. The views are some of the best in the park. Continuing on, head up to the Sunrise Visitor Center and Lodge area, where you can get information on some good day hikes in the area. A small snack bar provides a basic lunch (hamburgers, hot dogs and pre-made sandwiches). 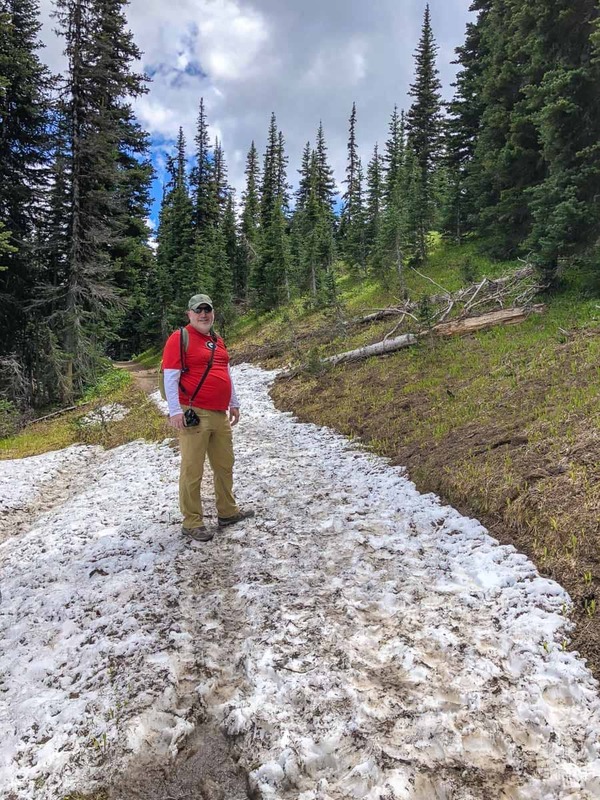 Grant crossing the snowfield on the trail. We chose to hike out the Silver Forest Trail, which offers an easy alpine stroll and plenty of great views and then continued on to Shadow Lake. The trail out to Shadow Lake was more downhill than uphill on the way out, making for a little huffing on the way back. Still, you are in an alpine wonderland with plenty of views to make the hike worth it. Also, if you need cell phone service, we found pretty good service in the parking lot of Sunrise Point. We didn’t see much in the way of wildlife in Mt. 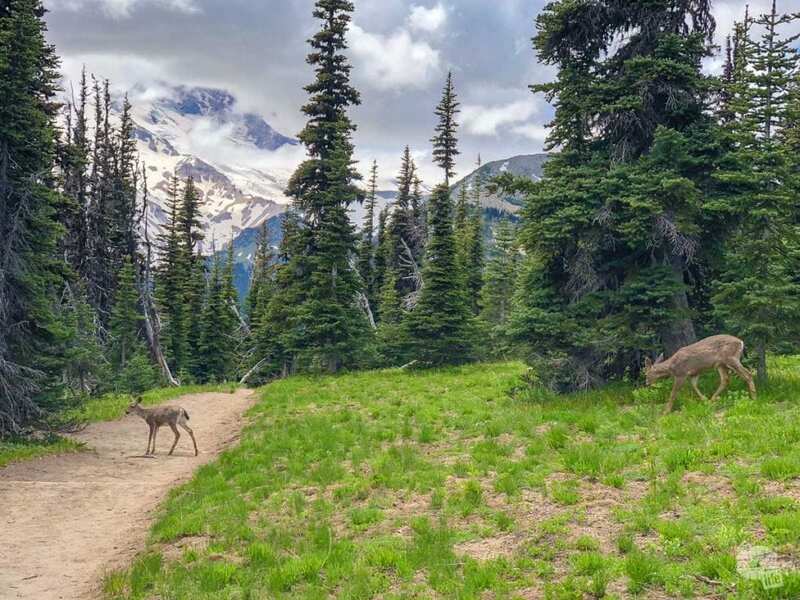 Rainier NP, but we did see some blacktail deer on the trail. We really enjoyed the Cougar Rock Campground. We found our campsite to be comfy, even without hookups. One thing to note: the dump station has a potable water fill, so you can top off your fresh water tank before starting your camping. Bonnie bundled up while working on the newsletter. Note the string lights stung above for lighting at night. 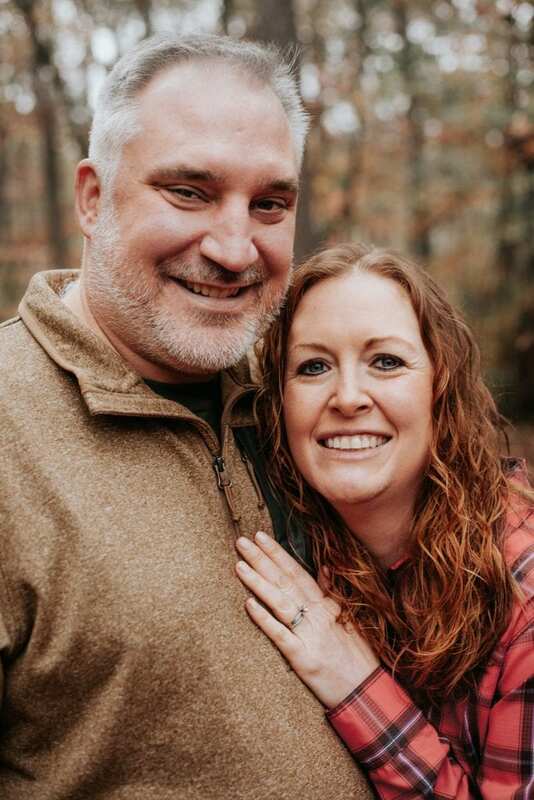 The more we boondock (camp without connections) the more we are coming to realize our camper can handle a lot more than we expected. We were able to run the furnace from time to time to heat up the camper. We could also run the hot water heater and water pump to take showers. The fridge can run off propane, so we were able to keep our food cold. 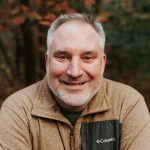 I am already thinking about adding another battery to allow us to boondock longer in the future. Were we to stay at one of the lodges, I think we would try for Paradise Inn. The views are simply staggering! There aren’t many options outside the park. 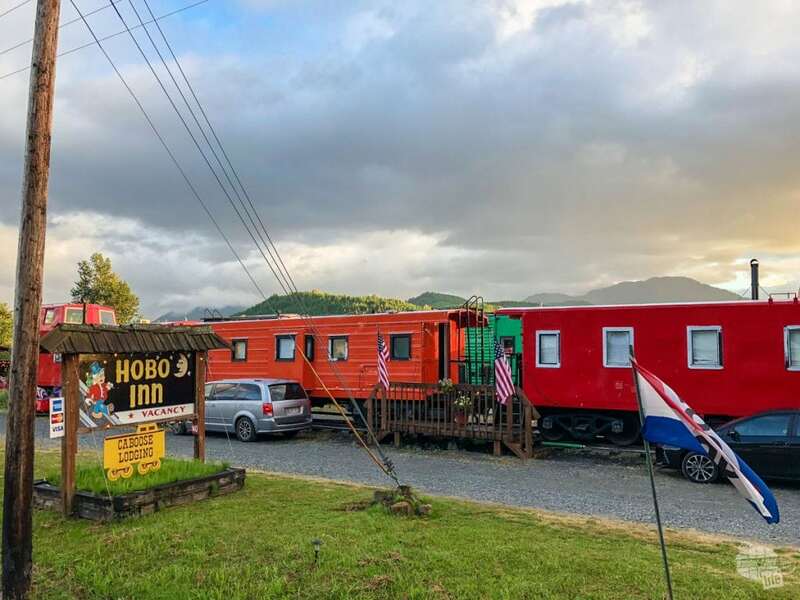 While I might be tempted to stay at the Hobo Inn due to the novelty, the Trip Advisor reviews might make me second guess the decision. A really neat idea: build an inn out of railcars. In terms of places to eat, make sure you eat at the Paradise Inn Dining Room. The food was outstanding. By contrast, the Sunrise Day Lodge’s food, while adequate, wasn’t worth the price…. $32 for a couple sandwiches, chips and fountain drinks was a lot, even for a remote spot in a national park. Our other recommendation is the Wildberry Restaurant in Ashford. 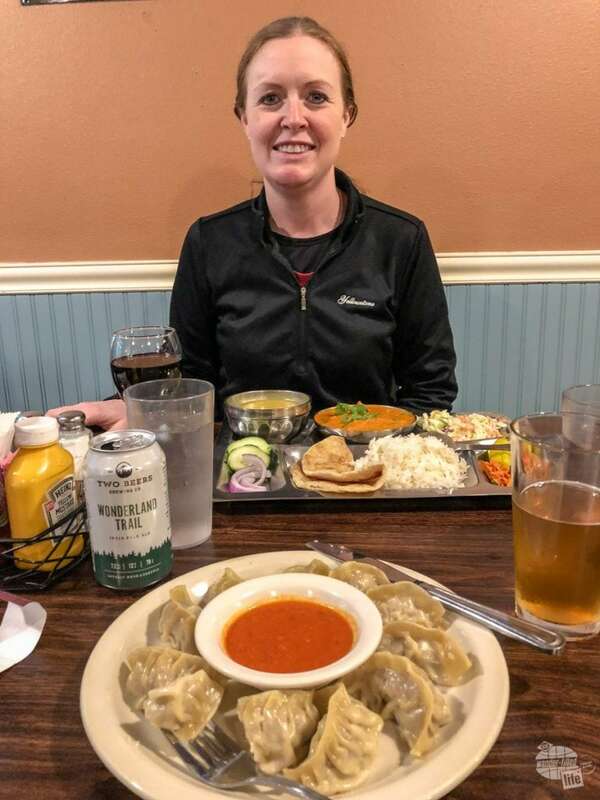 The food was good, not terribly expensive, plus where else are you gonna find authentic Nepalese cuisine? A fun fact about the restaurant: the owner has summited Mt. Everest 15 times and holds the world record for fastest ascent of that mountain. Like Grand Teton National Park, the majority of the amazing views are variations of views of the mountain. That said, there is a lot of diversity of places to visit and see which are easy to access. While you could see the majority of the park in one hard day of driving, you would miss out on some great trails and one of the prettiest parts of the park. We were really glad we had two relatively clear days to enjoy staggering views of the mountains. Plus, we had time to spend hiking on a few short trails. In all, I consider two days to be a bare minimum for visiting Mt. Rainier. If I had more time this summer, we would have camped for a couple more nights near the northwest corner of the park and visited the two areas of the park we missed.